March 7, 2018 - AviaDev-the only forum that is dedicated to growing air connectivity to, from and within the African continent -is delighted to announce the signing of a new conference participation agreement with the USAID Reducing Opportunities for Unlawful Transport of Endangered Species (ROUTES) Partnership. 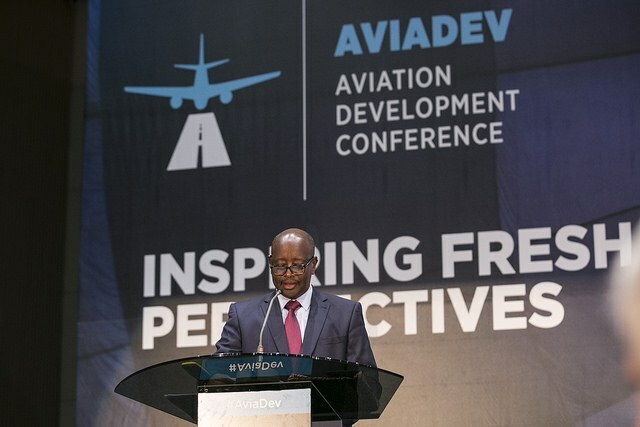 Bringing together airports, airlines, tourism authorities, governments and industry suppliers, AviaDev Africa is entering its third year of operation and offers attendees the ability to pre-arrange meetings in professional surroundings. As part of its wider commitment to Africa, AviaDev will welcome a presentation from ROUTES. Jon Howell, Managing Director, AviaDev said of the agreement: “Wildlife trafficking in Africa has to stop. The aviation industry has an opportunity to spearhead its prevention and I’m delighted that we can raise awareness of the issue via our conference. As a global ambassador for the Gorilla Organization, I am well aware of the fragility of our flora and fauna and believe we have a collective responsibility to ensure this is protected for future generations. The ROUTES Partnership brings together transport and logistics companies, government agencies, development groups, law enforcement, conservation organizations, academia and donors to disrupt wildlife trafficking activities, and forms a key element of the concerted international response to addressing wildlife poaching and associated criminal activities worldwide. “Wildlife traffickers abuse transportation systems throughout Africa to reach illegal markets around the world. We are thrilled to be participating in AviaDev to raise awareness of this serious issue and inform companies on how they can help make their supply chains staff and companies safer by combatting wildlife trafficking,” said Michelle Owen, ROUTES Lead. AviaDev will take place at the Southern Sun Cape Sun Hotel between June 12th and 14th. AviaDev Africa is the only dedicated air service development event for Africa, taking place on the African continent in 2018. It is organised by Bench Events (www.benchevents.com), which is known for producing the Africa Hotel Investment Forum (AHIF) and several other top-level hotel conferences around the world. Sponsors of AviaDev are: Host Sponsor: Wesgro; 2018 Confirmed Event Sponsors: Embraer, Sabre, TravelCommerce Solutions, ADB Safegate and Netherlands Airport Consultants (NACO). For more information please visit: www.AviationDevelop.com, #AdvancingAfricasConnectivity. The USAID Reducing Opportunities for Unlawful Transport of Endangered Species (ROUTES) Partnership brings together transport and logistics companies, government agencies, development groups, law enforcement, conservation organizations, academia and donors to disrupt wildlife trafficking activities, and forms a key element of the concerted international response to addressing wildlife poaching and associated criminal activities worldwide.